Our Whoopie Dreads wig is the dready wig that is slightly longer than our normal Whoopie. 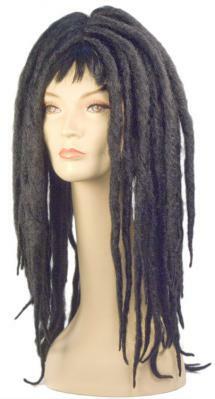 You would want to look rasta in this wig that goes all the way down your back. This is a sure way to hit the party and impress your friends and family. If you need to change your look, then this is a wig that will do that perfectly. Take a break from your normal hair day and get adventurous with whoopie dreads.